Miley Cyrus, Moby and J. Mascis are all set to appear with The Flaming Lips, while Bob Dylan, Roger Daltrey, The Cure and more have announced their own McCartney covers. The Flaming Lips‘ long-touted cover album of The Beatles‘ Sgt. Pepper’s Lonely Hearts Club Band, entitled With A Little Help From My Fwends, is taking shape, with a newly announced full tracklisting revealing a host of collaborators. Divisive pop starlet Miley Cyrus appears on both A Day in the Life and Lucy in the Sky with Diamonds, joined on the latter by dance giant Moby, while J. Mascis of Dinosaur Jr. joins My Morning Jacket and psychedelic up and comers Fever the Ghost on the title track. 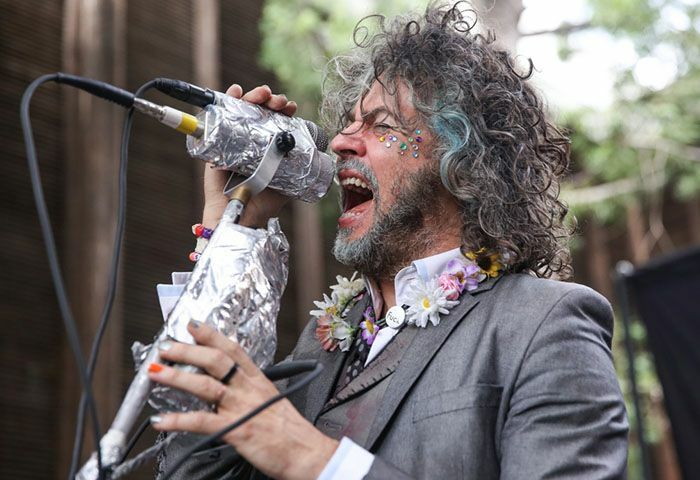 It’s not the first time Wayne Coyne and co. have ‘re-imagined’ a classic – Pink Floyd‘s Dark Side of The Moon received the same treatment via 2009’s The Flaming Lips and Stardeath and White Dwarfs with Henry Rollins and Peaches doing The Dark Side of the Moon, which divided the critics. You can watch Cyrus and the Lips’ Wayne Coyne and Steve Drozd perform their version during Cyrus’ Bangerz tour below. Meanwhile another tribute, entitled The Art of McCartney, is set to boast the likes of Bob Dylan and The Cure among a lengthy tracklist of covers spanning his career. Dylan covers 1964 track Things We Said Today, while The Who‘s Roger Daltrey takes on Helter Skelter. Post-Beatles track Wanderlust is taken on by The Beach Boys‘ Brian Wilson, and Billy Joel is to contribute versions of Maybe I’m Amazed and Live and Let Die. With A Little Help From My Fwends is released November 3 in the UK, while The Art of McCartney appears November 11.